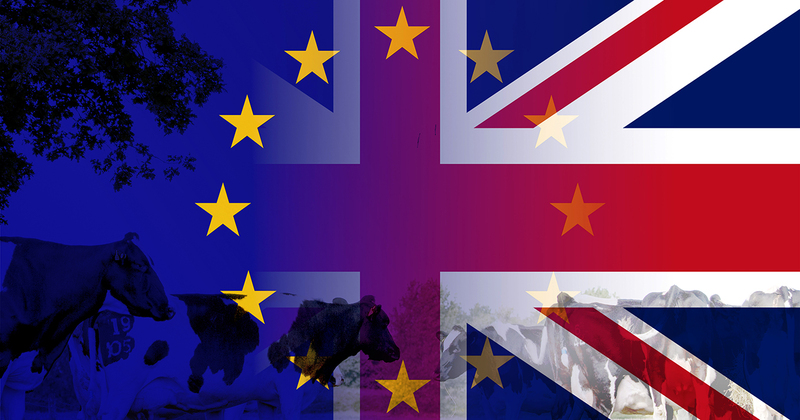 Rural consultant Brown & Co has introduced a new service to help individual farmers and agricultural businesses prepare for the possible impacts of Brexit. Fit for the Future is a broad-brush strategic review that aims to identify the main issues that affect a business and how these might be managed to cope once Britain’s EU membership ends. “The new scheme will provide a good starting point for farm businesses to prepare for the future in what is already a turbulent agricultural market,” says Brown & Co agri-business consultant James Brown. “It is entirely possible that direct subsidy payments will reduce from 2020, so investigating ways of farming without reliance on current levels of support or identifying ways to replace that income is of paramount importance. The first part of the assessment consists of a half-day visit by a Brown & Co consultant to the business. The meeting will include a review of the farm structure and an assessment of its physical and financial assets and performance, including the contribution of single payment receipts to profit. It will also identify business objectives and end with brain-storming session to identify opportunities that could improve and protect the business, says Mr Brown. “The consultant will draw up a list of recommendations from the information gleaned in the first visit, before returning to the farm to go through these in turn. The scheme, which costs £500, is targeted at all farm types and will be delivered from each of Brown & Co’s 11 offices in the UK (see www.brown-co.com). “The scheme is open to all farmers, whether they are existing clients or not, enabling all farm businesses to get access to professional advice at an affordable rate,” says Mr Brown. Brown & Co’s farm budgeting model, Browns Farm, is based on a typical Eastern Counties unit growing a mix of combinable crops and sugar beet. It is a family farming partnership running to 420ha (260ha owned, 160ha on an FBT). It is well managed with reasonably strong yields (eg wheat at 9.25t/ha) but does carry some high costs. This, coupled with exposure to fluctuating commodity markets, has been reflected in recent financial performance. Business profits over the past four years range from £50,500 in 2014 to £6,300 in 2016. Total borrowings have increased by more than £76,000 since 2014 to about £1.1m, often due to drawings exceeding profit and machinery investment. Brown’s Farm has high rent (£79,000) and finance (£57,000) charges when compared to other businesses of a similar magnitude. Power and labour costs are also relatively high. The business faces another challenge in the form of family succession. Mr Brown wishes to retire within five years and hand the business over to his son. He also wishes to provide for his daughter in the future. The business carries a high level of exposure to possible interest rate rises. Post 2020 there is a significant risk that Brown’s Farm’s Basic Payment Scheme monies will be reduced significantly. In the year ending April 2016, BPS was 14% of turnover and 22% of gross profit. The profit of 6,300 would have been a loss of almost £66,500 without BPS monies.